Meeting planning professionals are very busy individuals. They scan magazines (if they have time to open them at all), they receive over ten direct mail solicitations a day, and an increasing amount of unsolicited email they consider spam. So, how do you penetrate the meeting professional market? How do you know if your message is getting through? What’s the best marketing mix to get your message out and ensure it’s read? Mickey Schaefer’s 30+ years of experience and her Masters degree in marketing can bring a new perspective to your marketing approaches. Armed with samples of marketing approaches, Schaefer helps you see your marketing efforts in a new light. 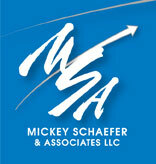 Contact MSA today to learn how you can breathe new life into your marketing strategies.